Hope you all had a wonderful 2016 and have an even better 2017. I had a great year with a lot of fun travel adventures, brought a new house, got a promotion 🙂 and I hope the good luck continues onto the new year. 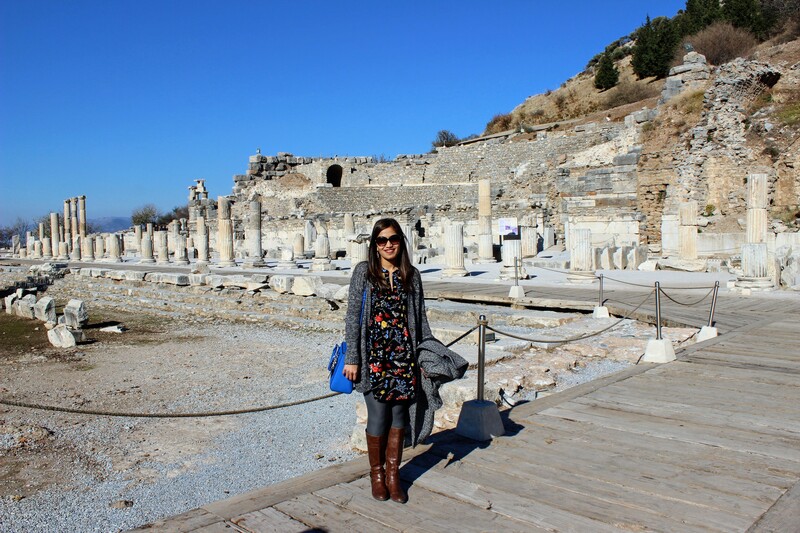 I visited Turkey last December and Ephesus was my first stop. 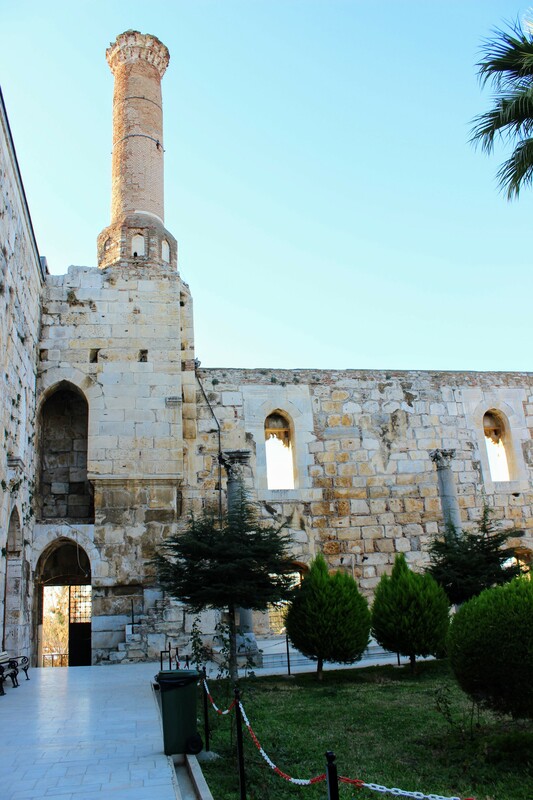 The city is about an hour’s drive from Izmir (you can fly from Istanbul to the Izmir airport). 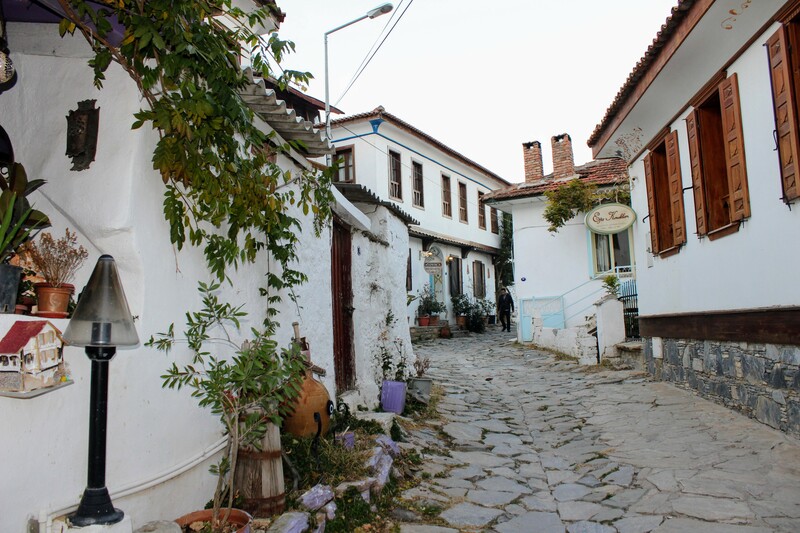 We stayed in Selçuk city which is near the ruins and has a number of hotels. 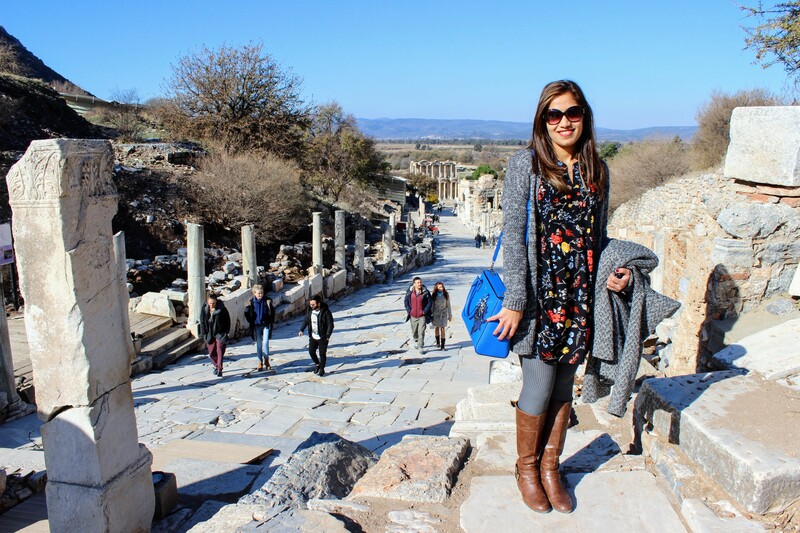 Though it was really cold this time of the year in Turkey, the advantage of a visit now was that the sites were not as crowded and I could capture some beautiful shots of the sites. 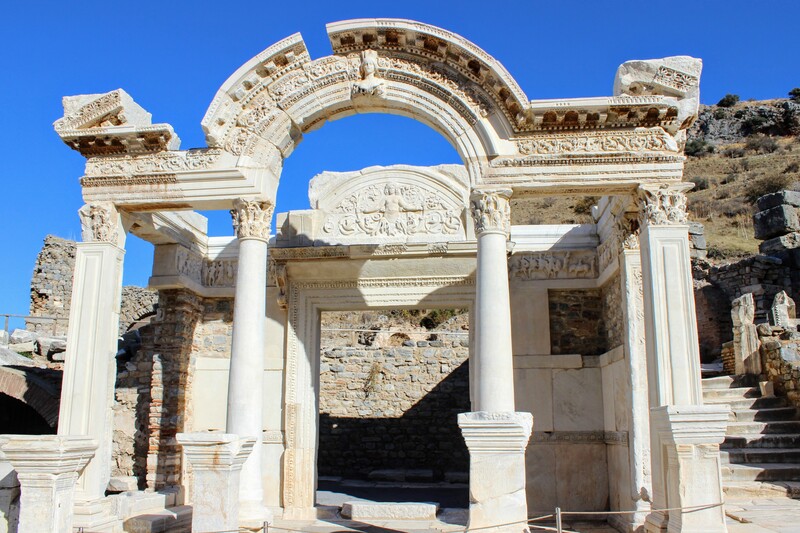 It’s best to tour Ephesus with a professional tour guide as they can take you around, show you the most famous attractions and tell you more about the history of the city. We booked our tour via Denizhan (our tour guide). 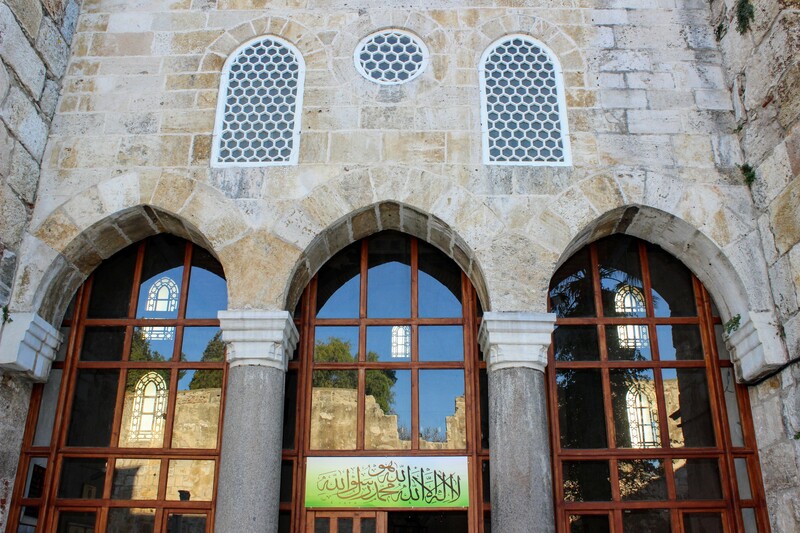 He was very knowledgeable and accommodating and we had a great time during the tour. 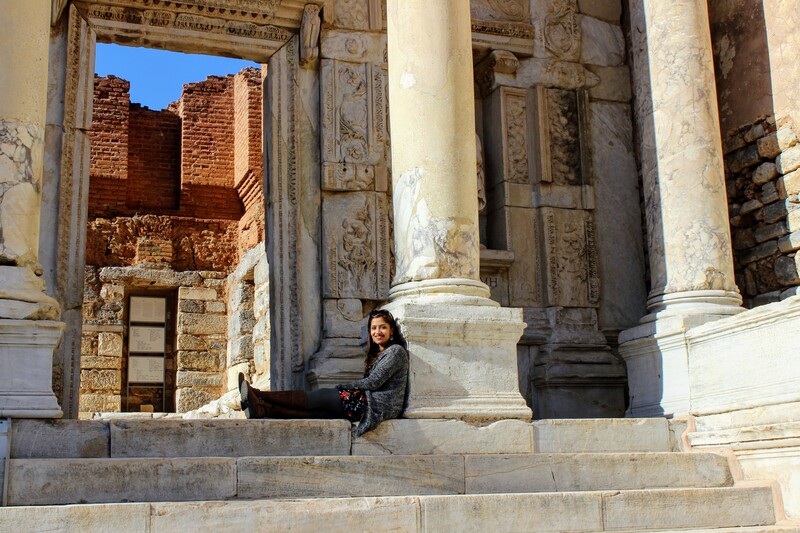 I would highly recommend you book your tour with them while visiting Ephesus. This was our first stop of the day. 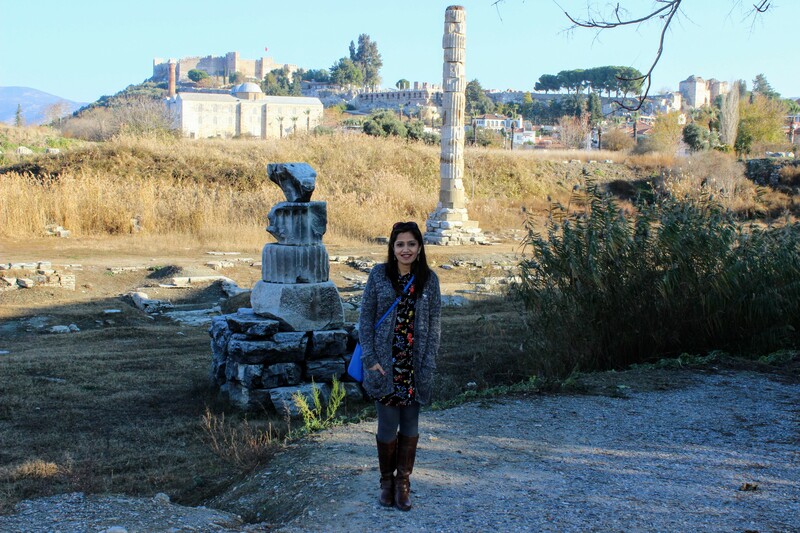 This was a pagan temple and is now one of the 7 wonders of the ancient world. 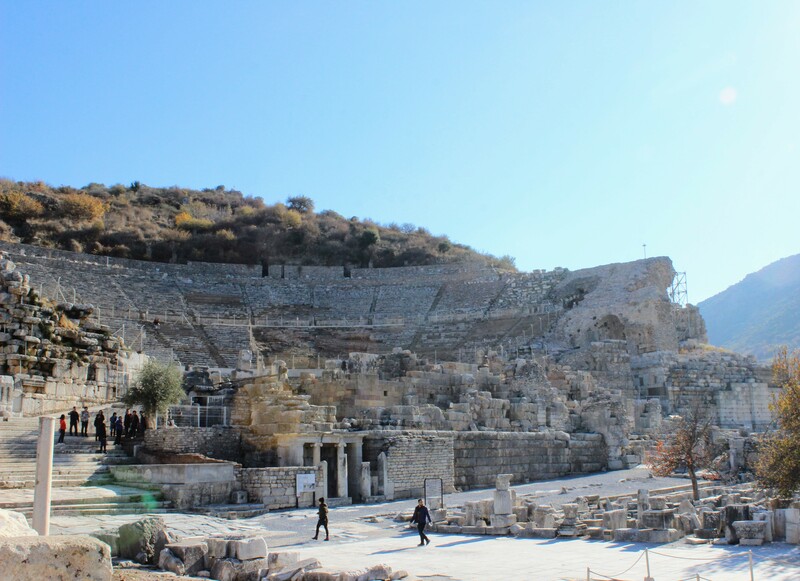 This temple was rebuilt several times starting from 800 B.C. The temple also housed many works of art including several bronze statues of Amazon women. Excavators found evidence of five temples on the site, each one constructed on top of the remains of another. 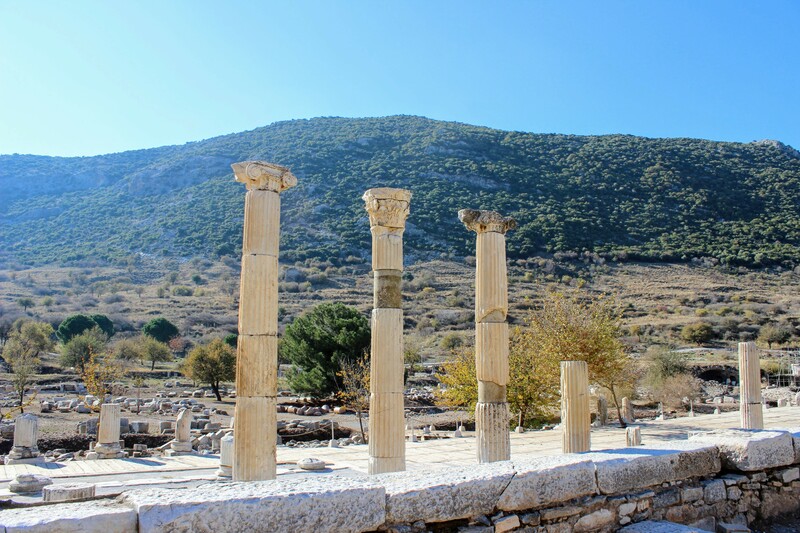 A single column has been reconstructed which denotes that the temple once stood here. 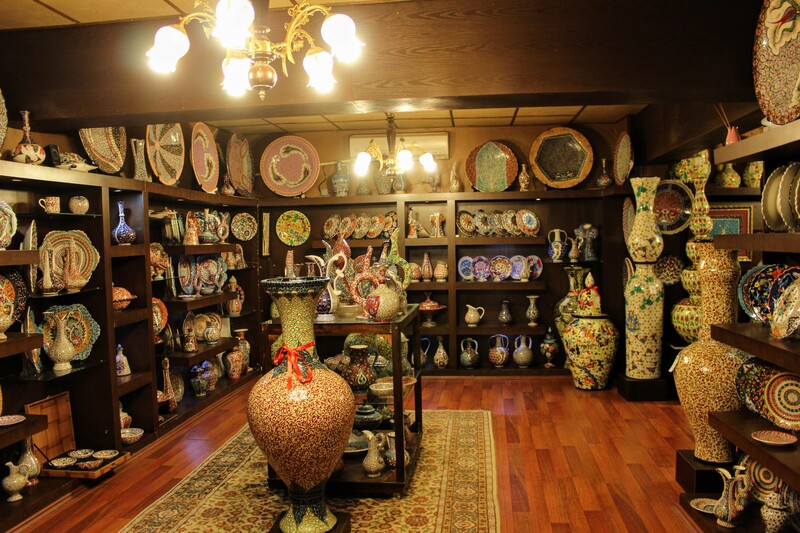 Our tour-guide then took us to a pottery making workshop. 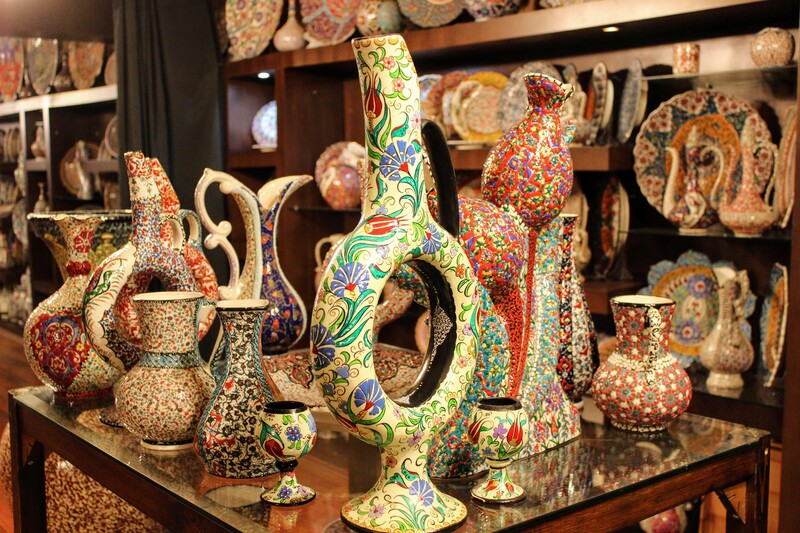 This was quite an interesting process to see and they even had a gift shop where you could buy various pieces handmade by them. They best part was they ship large pieces to the US. 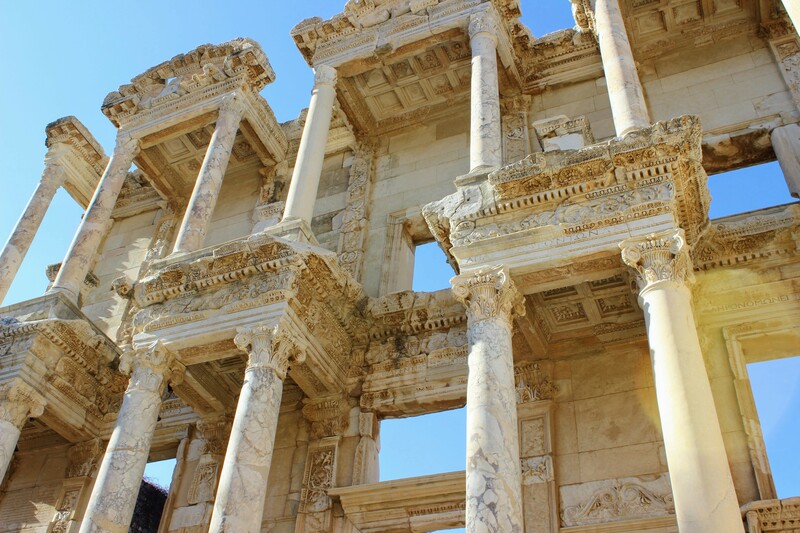 The ancient library constructed fully out of marble. Gorgeous statues stand at the entrance. There was a brothel in front of the library and had a secret underground passage to the library. Closeup of the beautiful pillars. The arena which held public executions, fights etc for the entertainment of the people back then. Now it’s a popular concert venue. This was the highlight of the trip. You need to buy tickets for this attraction and walking through it is like walking back in history. 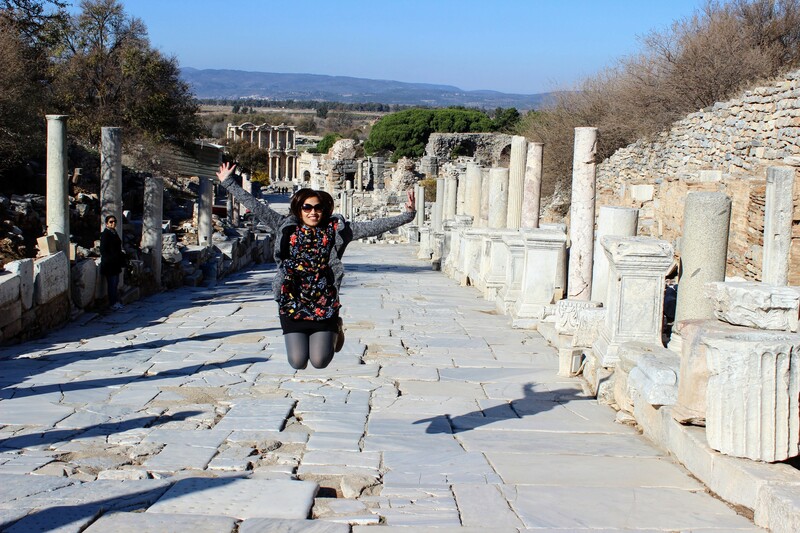 Ephesus was one of the biggest cities of the Roman empire. 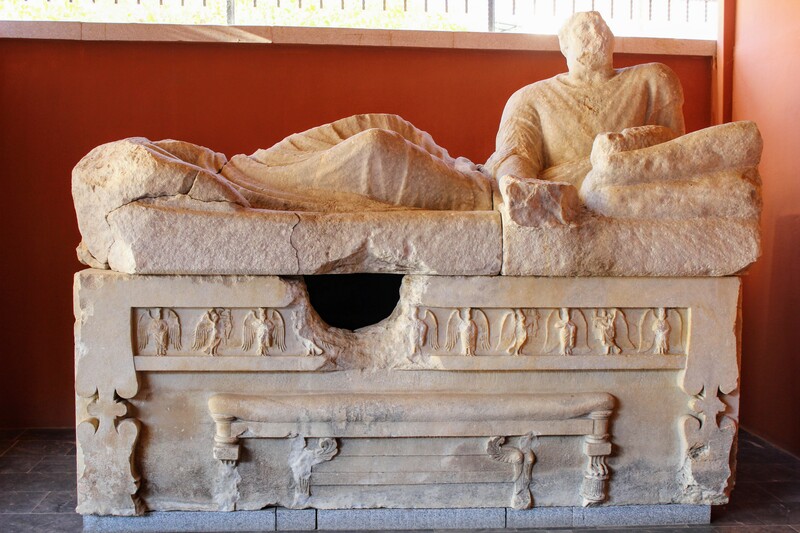 Epheus flourished the most under the reign of Augustus and was one of the most luxurious and wealthiest cities. 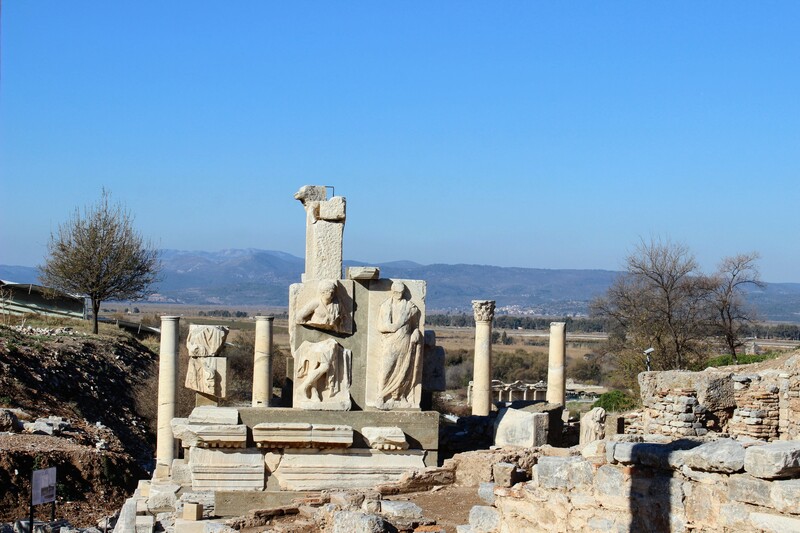 The entire ancient city was made out of marble. 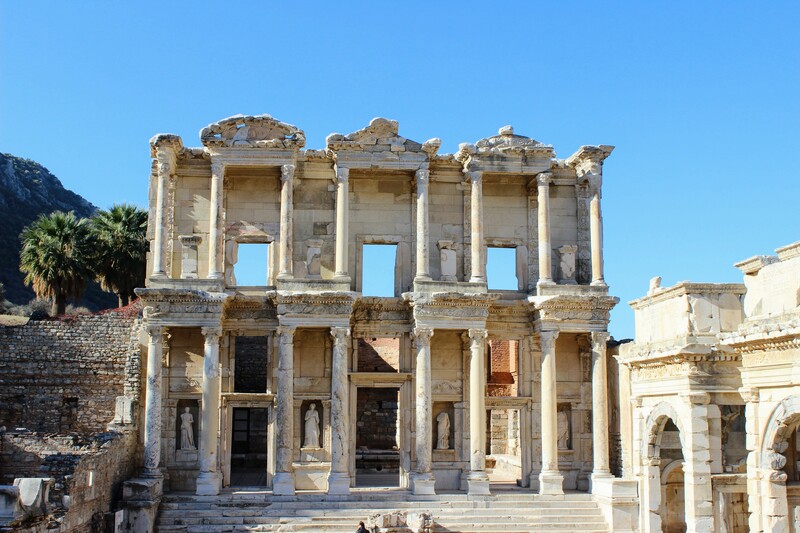 You can see the ruins of some beautiful houses, the marketplace and the library. 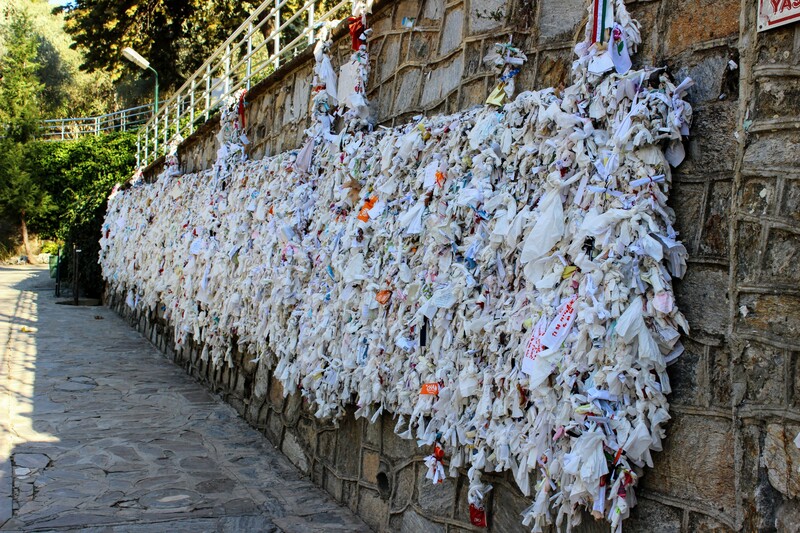 These are white napkins on which people have written their wishes and then hung them on the wall. 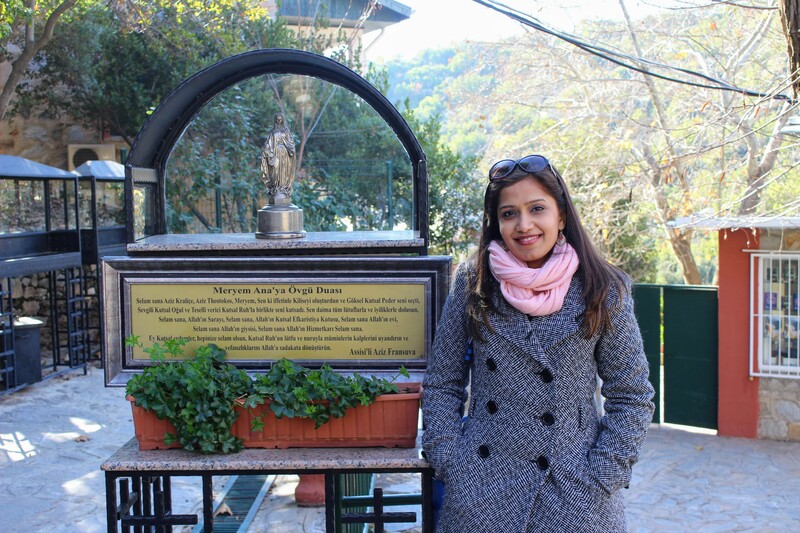 There is a statue of Virgin Mary inside a small house here. You are not allowed to take pictures inside the house. This is the place where Mary might have spent her last few days. 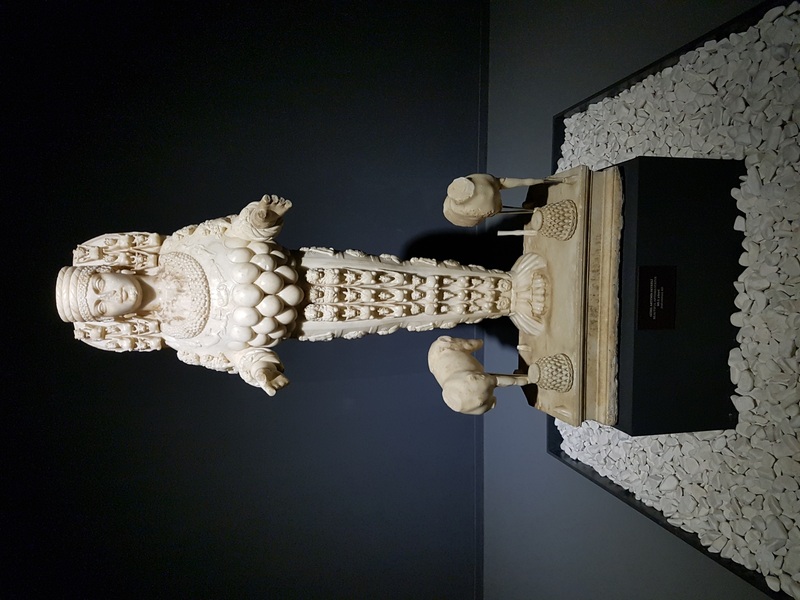 The Ephesus Artemis was a goddess of fertility and was often pictured as draped with eggs or multiple breasts, symbols of fertility, from her waist to her shoulders. 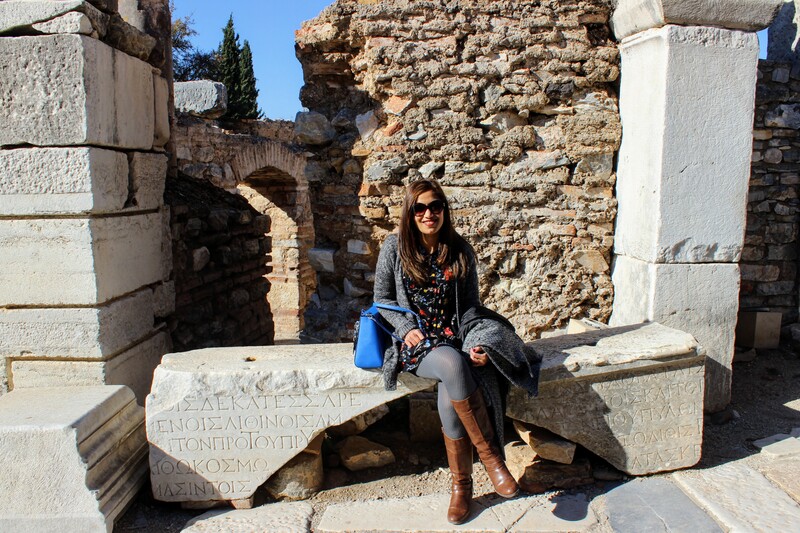 An ancient grave for a wealthy person. 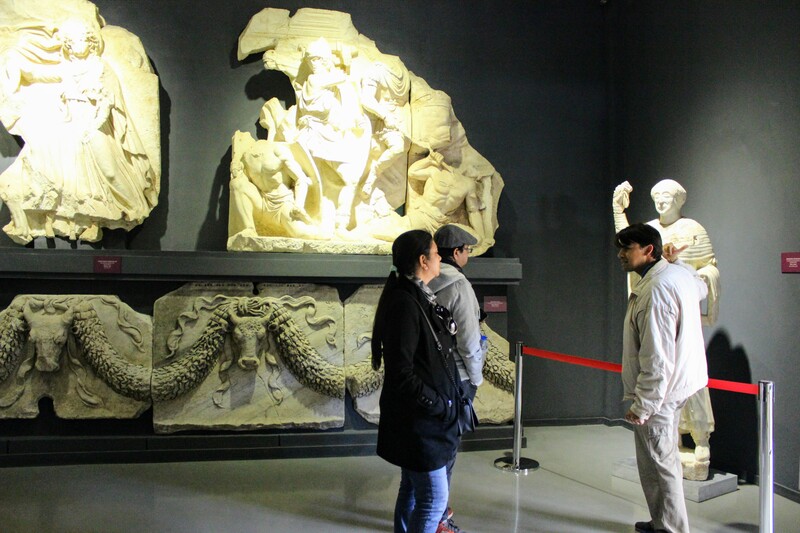 Our tour guide Denizhan explaining the history behind one of the statues. 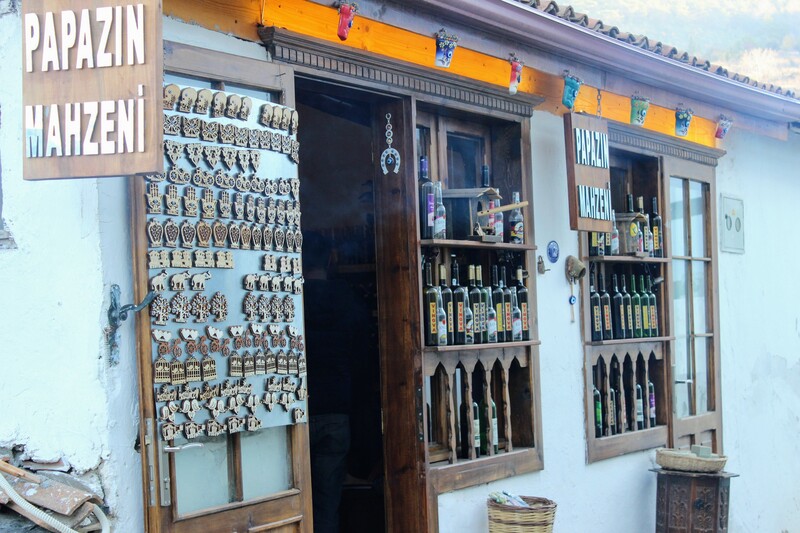 A local shop selling fruit wines. 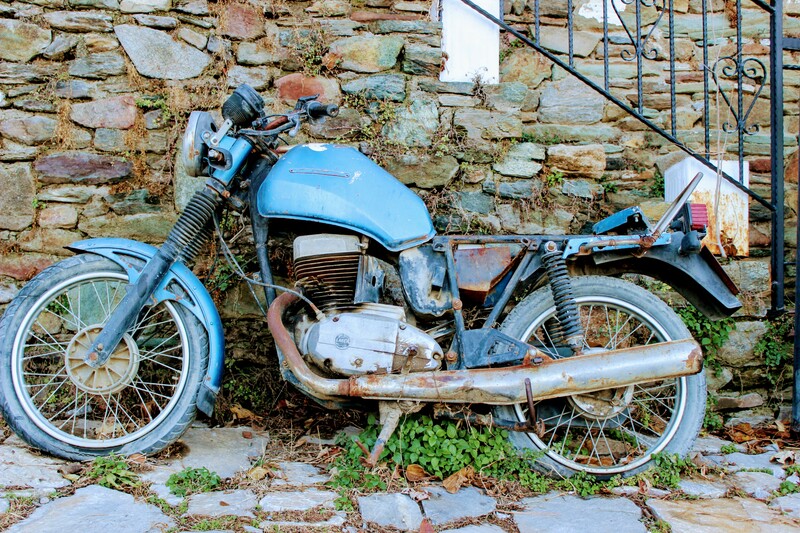 An old bike abandoned somewhere in the village. Trying out Turkish coffee at a local place. The sand in the center of the table keeps the pot warm. 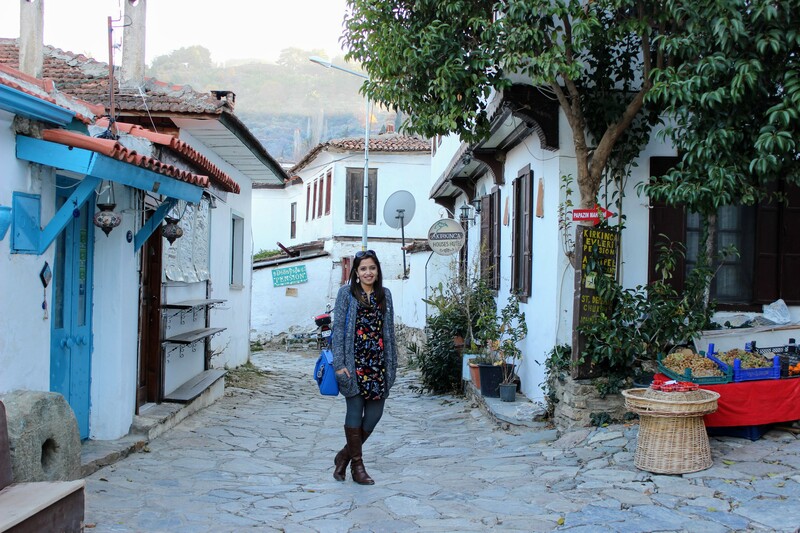 Sirince village was our last stop of the day. It’s a very pretty village located on a hilltop. It’s a famous honeymoon destination and famous for it’s fruit wines. 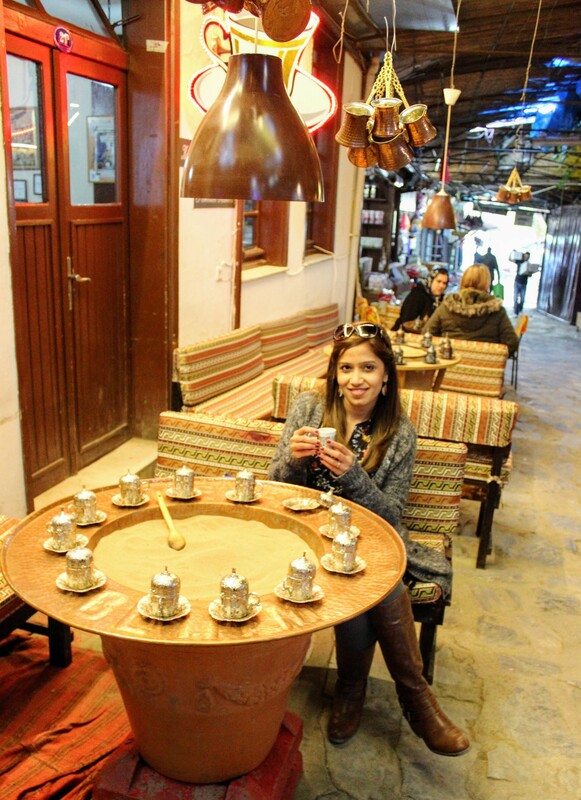 You can enjoy some Turkish coffee with some nice hot baklava in the village as well. Here is the link to book your tour with Denizhan and here is the link to their facebook page.